Sometimes in life you are blocked by unseen forces….and as much as you strive to go forward, each day is an uphill battle! Nothing comes naturally, easily, and you feel constantly paying new dues in every field of endeavor! Then doubt installs in your mind, and for the simplest action you need to convince yourself that yes, you can do this with the minimum risk, that you have the skills, knowledge and stamina to get it finished. And when you finally get your spirits together you find yourself so drained off all energy to actually do something about it..
Until one day you realize the root of problem: If you had trust in yourself, you would not be doubting to the point of exhaustion!, you will feel that inner force irradiating from you, making , obstacles to disappear and people willingly join to your efforts to make your dreams come true. Wouldn’t it be perfect if you could begin reinforcing the image that you have of yourself, stop pretending that other people know what it is best for you, and begin unleashing the inner force of your true self? Are You a Victim of Wrong Mental Programming? I don’t know about you, but I grew up in a household where the main tool to keep you obedient was discouraging your ideas, your creativity and in short, clipping your wings so you would not leave the family nest….daring to be different. Their comments were always negative, discouraging, and off putting. Like saying “who do you think you are?” , when you wanted to be a dancer. Or “You will never go to the university”, when you shared your dream of being a doctor. You Don’t Trust Your Innate Sense of What You Can Achieve! The good news is that, you can do as much of what you dream to, given time, necessary resources and dedication. But you will have to cut off all those limiting thoughts from your mind, and put in their place a new set that reflects more on you, and your true potential. 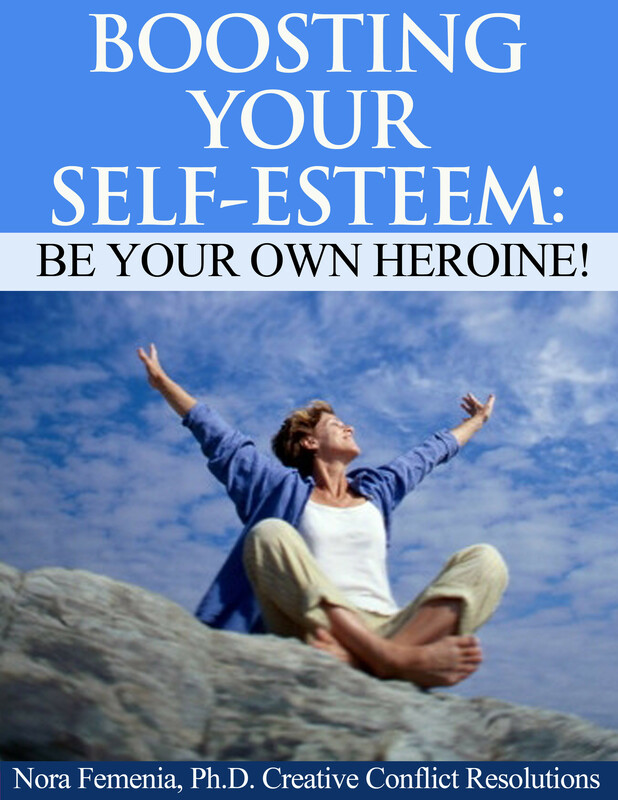 Ready for a short test, of your level of self-esteem? I’m considered as very strong, and that leaves me too lonely. I express myself as I want always, and people listen to me. If you scored less than 10, then self esteem booster is we what you need.. Probably, you are thinking that this test was so easy….the choices are clear: they are between making your own, personal choices, or letting others rule your life, and making those wishes and needs respected, without breaking relationships. Are you supporting a “nice person” image of yourself only to avoid all confrontations? As a child you always wanted to be accepted, and you learned some tricks that gave results for a while. Creating a strong image of a Nice Person, helped you to feel more accepted by our parents, siblings, and friends. This nice person will always mold into the group, accepting the ruling of others without a chance to include your own needs into their agenda. By doing that your own needs had became second priority, and sometimes they will be have to suppressed completely. This may be what others expect from you, but you paid a very high price tag….after many years of doing the “nice person act” you will find your energy is so low, that you feel so empty, devoid of all motivation, and sense of purpose. It is at this moment that you realize the need to choose between pleasing others or fulfilling your own needs, claiming what you really are, what you really want .. But this is only possible if you learn how to assert and grow your own identity: Too strong self-assertion will provoke powerful reactions that can be too stressing or even damaging, and too weak a self-esteem will leave you very vulnerable to whatever others need or want, sending you to the starting point. Is low self-esteem, and the fears and doubts that come with it, keeping you from achieving what you really want in life? Are you tired of waiting for someone to come along and rescue you from your pain? Today, you can learn how to rescue yourself, by being the heroine of your own amazing life story! Here, you’ll learn where self-esteem comes from, how it feeds off negativity in your life, and how you can fight off the “enemies” (fear, doubt, negativity) while “powering up” on the positive things in life. I remember clearly that voice…it was not coming from another person’s mouth, but from my own head! At thirteen, I was trying desperately to fit in, to be accepted and valued by a new group of friends at school, when I could hear the phrase: “Who do you think you are?…you don’t belong here!” It was scary, because I was alone, and that voice could only be coming from me…was I going crazy? Later on, I could recognize the voice as my own mother’s voice, saying what she always offered to me: a negative comment on my abilities…I knew very well the dampening effect she could have on my illusions of developing myself, of growing up to be somebody. I had spent so much time listening to those demeaning comments, that now I could do it to myself very easily! When someone gives you a compliment, do you usually down play it or say something negative instead? Do you find yourself responding with “But…” or another self-demeaning phrase? Next time you are appreciated, catch yourself before you respond this way and don’t let the words come out. Try simply saying “Thank you.” Let the compliment be, don’t wash it away with negativity. In this way, you can re-create your self-image based on who you are, not on who your family or parents see on you….This is always distorted, and it is a lot of work to convince yourself you have a right to feel better about your own person. You will begin to glow from the inside out, and your self-confidence will carry through the toughest duties of life. The job of appreciating yourself now can be extended to all the magnificent aspects that life offers you, right? And as much as you can appreciate everything around you, your happiness will grow…This is the best year for your self-growth! Learning to Develop Your Self-worth? Throughout this book, we’ll go in depth into all the ways that you can counteract the doubt that is destroying your self-worth. To start, you should know that there are plenty of simple ways in which you can boost your self-esteem and change to a more positive and healthy outlook about yourself. Don’t take other people’s criticism to heart, instead listen to what they are saying and simply ask yourself whether you agree, disagree, and why. Always ask why! Take some time out for yourself everyday to meditate, look inside yourself and realize all your good points. Do something everyday that you enjoy, such as talking a walk in the sunshine or soaking in a bubble bath. Never deprive yourself of something you enjoy. If you imagine it is something you shouldn’t be doing, then review the reasons why it should be forbidden. If it’s not hurting anybody, then hey, challenge the rules by going for it anyway! Talk positively to yourself, and repeat positive affirmations to chase away all the negative thoughts and feelings. YOU can read more useful tips in this book…and please, get in touch with us so we can give you more support and love!